Greenvision Ambiente signed an agreement with Officine Maccaferri for the sale of the remaining51% stake in Italdreni srl, producer and distributer of geosynthetic products for erosion protection and drainage within the construction industry. Today, Officine Maccaferri SpA signed the agreement for the purchase of the remaining 51% ofItaldreni srl from Greenvision Ambiente SpA. The sale enables Greenvision to follow its strategic planof focusing its activities in energy from renewable sources. 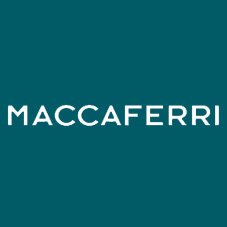 Officine Maccaferri, a subsidiary of SECI, the holding company of the Maccaferri family, is atechnicalreference in geotechnical engineering with a strong international presence (60 offices and28 plants on all continents) and proven experience in the design and implementation of solutions forgeotechnical and civil engineering. Greenvision Ambiente, had already sold 49% of Italdreni to Maccaferri in May 2009.